The Center Records Collection comprises 86 editions of Center publications, ‘The Center Voice’ and ‘Center Happenings’. 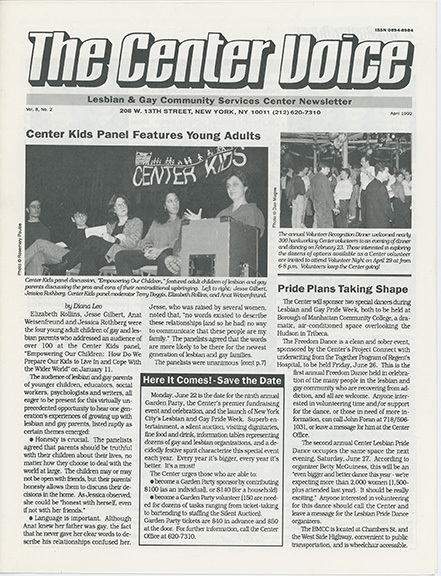 The first edition of The Center Voice was published in 1985, soon after the founding of The Center. They show the diversity of LGBT groups existing in NYC at the time. The Center Voice became Center Happenings and the current publication produced by The Center is Center Listings which comes out quarterly.